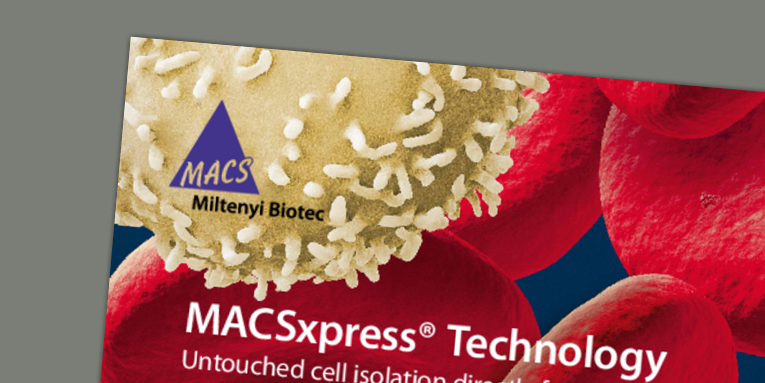 MACSxpress® Technology is a cell separation platform specially designed for processing large volumes of blood and blood products. 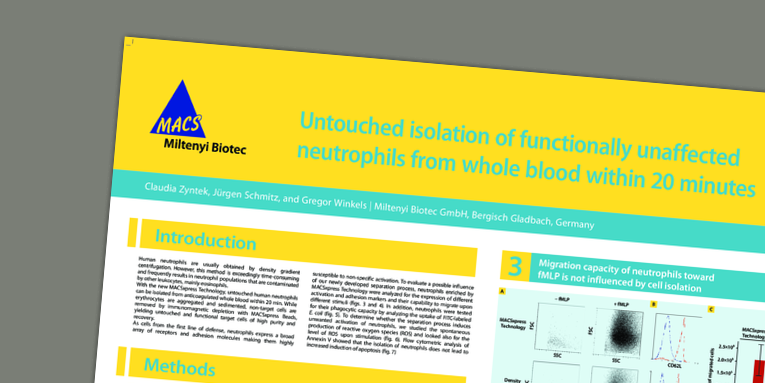 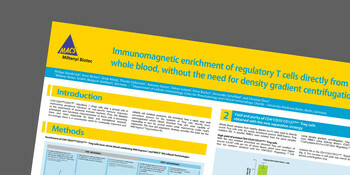 It is the fastest, easiest, and most convenient way to isolate viable and functional immune cells directly from blood sources – without the need for density gradient centrifugation. 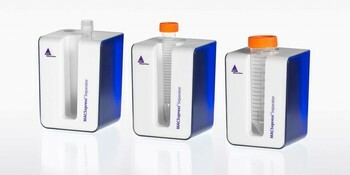 The technology is based on micro-sized MACSxpress Beads allowing the removal of non-target cells by immunomagnetic depletion using the MACSxpress Separator, a powerful permanent magnet. 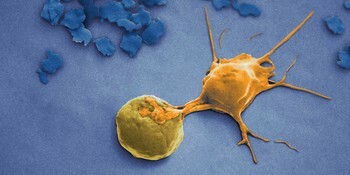 Simultaneously, erythrocytes are sedimented, yielding untouched target cells of high purity.